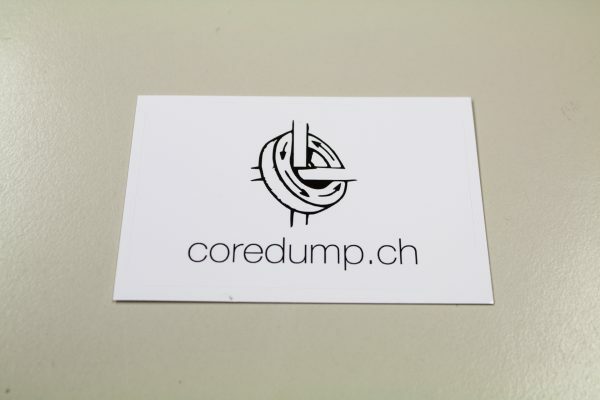 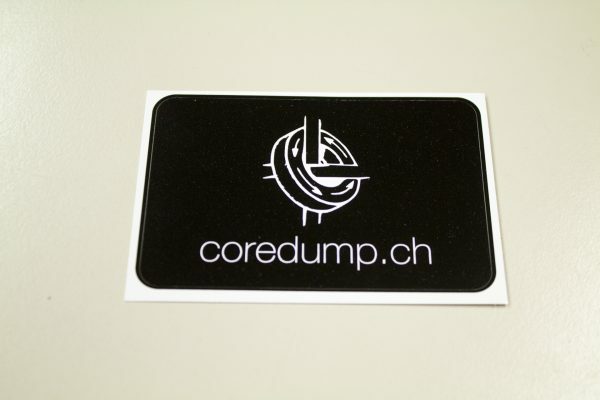 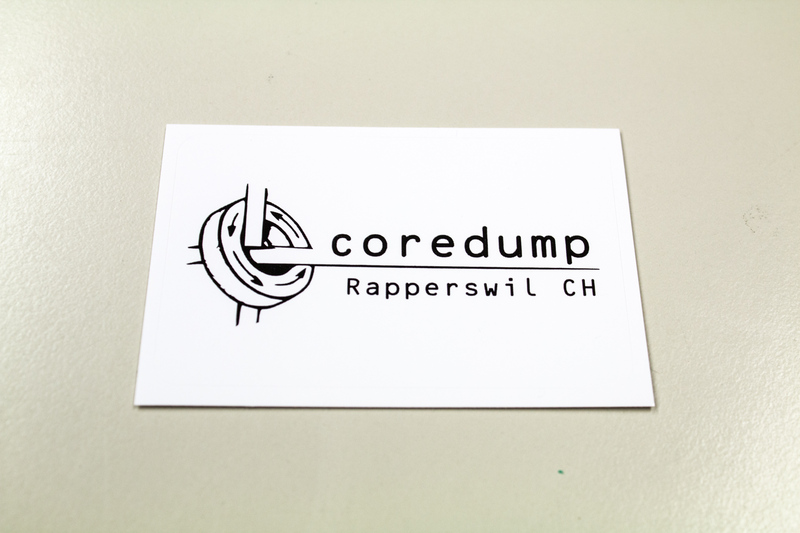 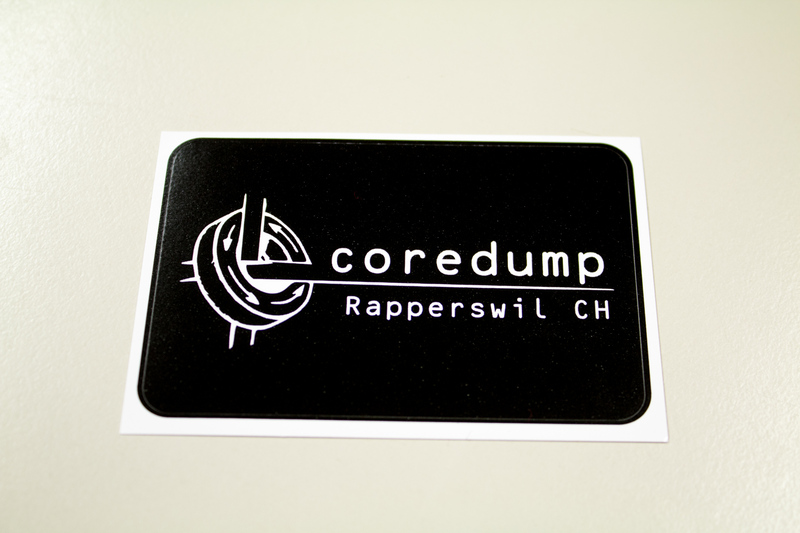 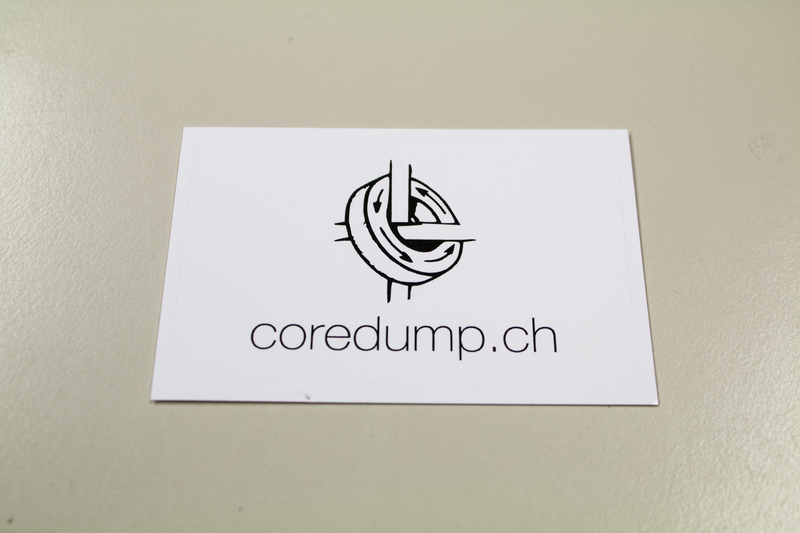 Rectangular Coredump logo stickers in four different variations. Rectangular rounded stickers (84x55mm) with two different logos in black and white. 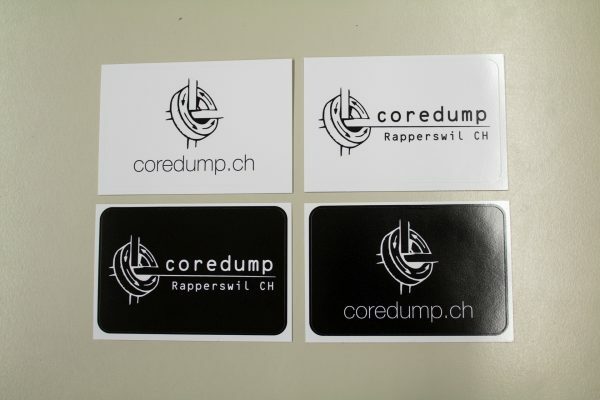 The stickers are from MOO, see the product page for more information about the sticker quality.